Interpretations: "Nova Gaia grids descend." - The term nova is latin, derived from novous, meaning new. Gaia, of course, represents the Earth, but also the sentient being who indwell's all of this planet's life forms and materials. If our consciousness uses the ecosystem of our bodies to experience life, then Gaia uses all things on the Earth to experience her unique spiritual essence. 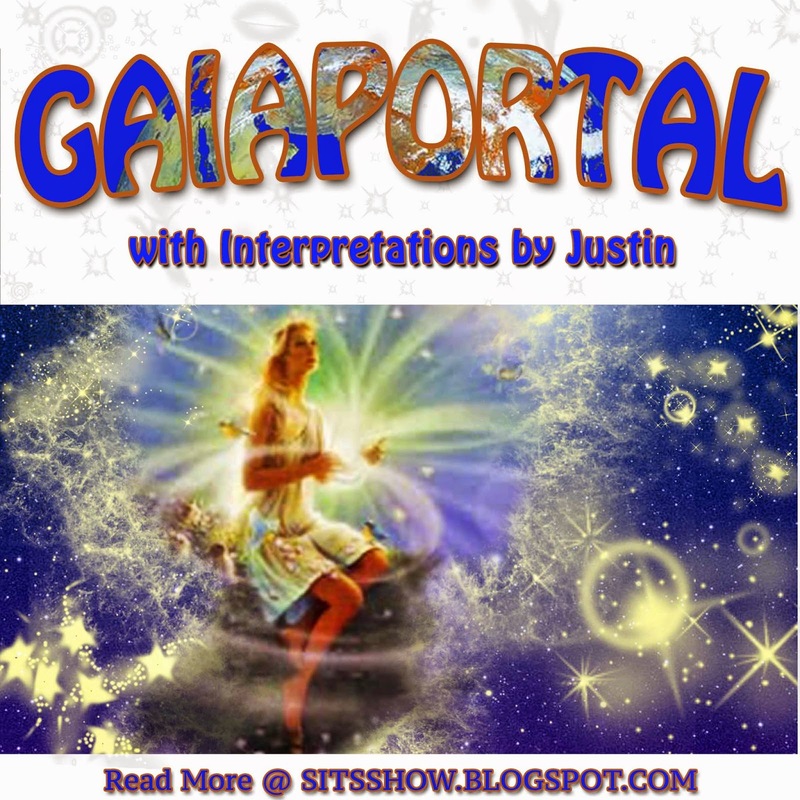 The Law of One material and several other works refer to Gaia as a sub-logos of the solar system, which, is in turn, a sub-logos of the galaxy; a fractal, embedded or self-similar relationship. And like all spiritual beings, is an eternal hologram of the creator itself, which is becoming via the evolutionary adventure of time and space. In other words, just as we are unfinished evolving creatures, so is she, via the spiritual agency of time. While time has become vilified in the New Age community, from a spiritual perspective, it is time that allows consciousness to experience change. In an eternal or absolute state, change is impossible because there is only oneness. Here, Gaia's grids are descending, indicating that a change is occurring through time, an evolutionary process. of the fields change, shown by compass needles. 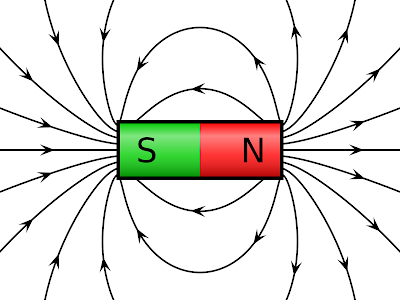 Here we see how the direction of the magnetic field was modeled in the diagram. The field is invisible, until an object interacts with it; shown in the second image. The point here being, the direction and orientation of the field determines where interactions take place. It is these interactions we could call the grid. When a solar event occurs, highly charged particles pour out into the solar system like a tsunami wave. 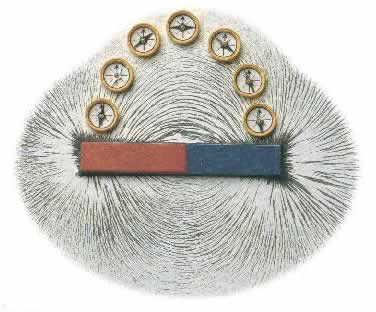 The movement of these particles induces changes in the magnetic field of the solar system, which in turn affects the magnetic field of the Earth. The grid is altered directly as a result of solar expression, but this is not the only way grids can descend on Gaia. Essentially, any electromagnetic phenomenon will alter the magnetic fields of the Earth, including: Gamma Rays, Cosmic Rays, solar activity, galactic activity, and, of course, consciousness. The human mind and body produce emotions when focused attention is placed on a catalyzing agent, any object in reality. Once observed, the mind generates meanings, which are labeled as desirable or undesirable, orienting the charge flow of emotion towards positive or negative expression. If we label an experience as undesirable, the emotions generated will feel bad, and this literally alters the electromagnetic field of the body (the aura). This field extends well beyond the material limits of the body, reaching out up to 30 feet away. The heart is the strongest engine for electromagnetic transmission. Taking all this into account, the statement suggests some new field of energy is now enshrouding the planet. While not all fields are electromagnetic in nature, all material interactions in the physical plane of space-time (three dimensions of space and one dimension of time) are electromagnetic. Electricity seems to be a material expression of the all-encompassing spirit of the universe, as all effects in the physical realm have an electromagnetic counterpart. I suggest that whatever this new grid is, it is sourced from within and without. From the sun and galaxy as well as the choices of Gaia's inhabitants. And given the course of evolution or organization that we are presently undergoing, these interaction points and lines are most likely more coherent or organized than the previous grid. "Implantations of foreigns flee." - The term implantation refers to the act of inserting or fixing an object into the body, usually via an unnatural process, such as surgery. One of the first things I thought of when I saw this term was COBRA, who refers to the notion of etheric implants that were placed within the bodies of humanity by the Chimera group and Archons, if memory serves. These implants apparently hold back the spiritual progress and evolution of humanity. To my knowledge, a precise explanation of how this process occurs and how it affects the evolving being has not been clearly stated by COBRA. However, given that electromagnetic fields play an integral part in the human experience, I suggest that the implants being described here, and by COBRA, could be one and the same. And that they are discordant or chaotic fields with unorganized gridline interactions. But we can also think of any idea, concept, or belief that comes from outside of us as a foreign implant, which if left untested and verified can have the effect of stagnating evolution. Consider the work of Dr. Emoto and how negative emotions produce disorganized water crystals, whereas positive emotions produce organized patterns. 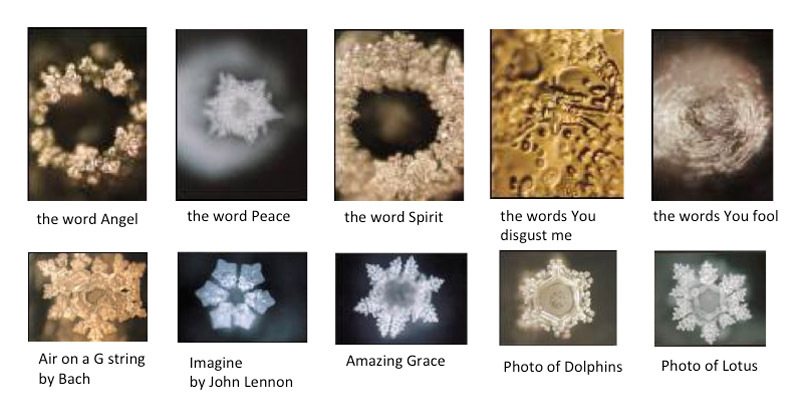 Examples of Dr. Emoto's work with music, intention and words changing the geometry of water as it freezes. If the new gridlines descending onto Gaia are in fact more coherent or organized than this larger more powerful system will entrain onto the lower, reorganizing them to match the larger. The principle of entrainment is an essential concept to understand. I offered a detailed description in a Gaia Portal update from the 23rd of January 2016. Furthermore, the universe is predisposed to favor organization vs chaos, exemplified in an entrainment process. Simply put, the volume of Gaia's voice (the electromagnetic field of her grid) will overwhelm the small chaotic voices that come in contact with hers; the etheric implants as well as disorganized fields in general. This means that not only will these implants begin to dissolve but that their influence on the mind will also be reduced. Have you ever tried to listen to a person speak while loud music is playing in the background? Think of the nagging temptations of the implant as a low volume song, with Gaia's grid as a high volume one. The focus of our attention will be drawn more powerfully to the more organized and higher volume transmission, but the choice is still ours. As such, while these implants of foreigns are fleeing, the effects they have on the mind are still there, and only an act of will can change this, despite the fact that they have fled. "Stagnations are cracked as Higher Elements impress." - The term stagnation refers to a lack of flow or movement, usually in a non-beneficial way. For spiritual beings on an evolutionary adventure, to stagnate is to stop evolving, which will eventually lead to intense trauma, negative emotion and death. The term impress refers to having an effect on something. The artist always leaves their impression on a finished piece, marking it as their own. Here, Higher Elements are impressing on to stagnations, which are starting to crack as a result. Given the aforementioned discussion of entrainment and how larger more organized systems overpower disorganized ones, and that implants of a foreign nature can have limiting effects on consciousness, then I suggest that the Higher Elements here are focal points of Gaia's grid making contact with points of disorganization within individuals who are stagnated. An example of this process would be when the truth makes contact with falseness within the minds of those who accept it as truth. If we think that cures for cancer don't exist, then when we see or hear information that causes us to question this belief, it draws our focus to our knowledge, creating a tempest of change within. If we try to cling on to our past belief, we will have to build a wall to defend against the truth, which strengthens a sense of stagnation. But if we open ourselves to change, then this act of will causes an inrushing of new data into the mind, shedding light on all the dark places which relate to it, causing a dissolution of false implants and a restoration of growth. "Stresses of Higher Energetics clear the way." - As we just discussed, anytime we open our minds and hearts to something that was previously blocked off, a tempest of change is sure to follow. 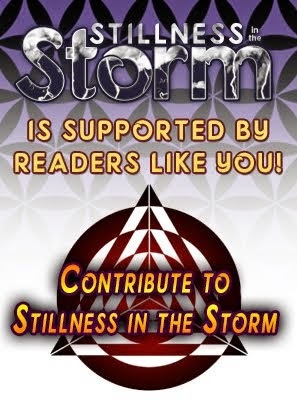 And this storm can feel very intense and stressful, as literally our sense of self or identity is going through a transformation. In truth, we can not help but change as experience produces an inescapable inrushing of data at all times, but we can choose not to embrace change in the form of denial, refusal, and stubbornness. For example, if we are trying to learn how to drive a car, all the mistakes we make reveal gaps in our knowledge or skill. If refuse to acknowledge these errors, and maintain that we are 'a good driver', then we deny ourselves evolution, stagnating as are result. And one day our choice of ignorance will make contact with the truth, we will have an experience that shows us what we do not know. 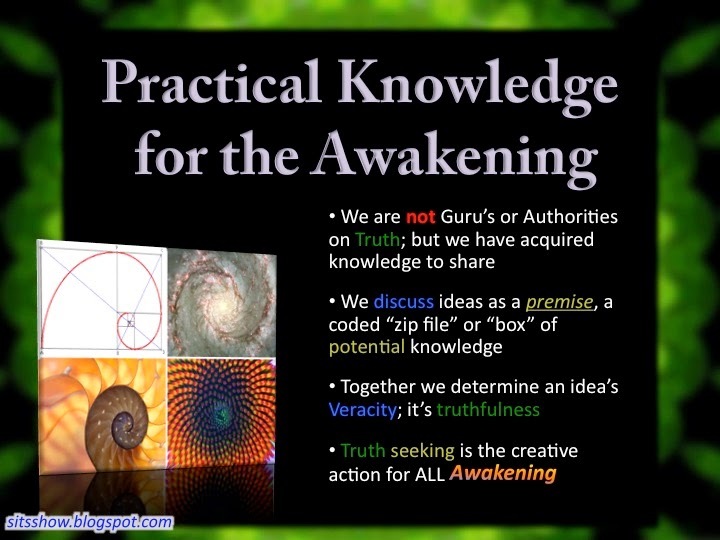 But when we finally are brave enough to admit "I was wrong", which Mark Passio calls the three most powerful words, then the mind and heart open, and healing can begin. 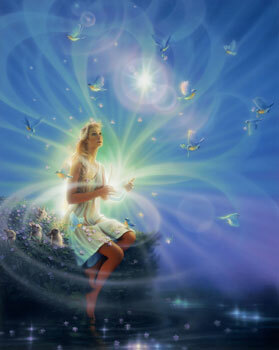 Once this healing phases has reached a level of completion, the stress from the process begins to clear the way. Consider that from a place of stagnancy, seeing how to move forward to overcome a challenge can be very difficult. Stress literally pulls blood away from the higher cognitive centers of the brain, into the R Complex responsible for the fight or flight mechanism. Yet when we let go of stagnating choices that egocentrically seek to keep us the same, mental evolution occurs, knowledge is gained, and clarity of sight is restored. In this sense, we can think of Higher Energetics exerting pressure on falseness within ourselves, which can feel very intense when we fight against it. But setting aside our ego, and allowing what IS to give us new eyes to see will always clear the way for what is to come.